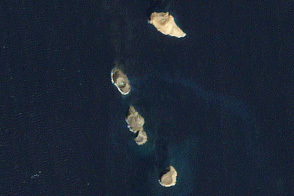 A volcanic eruption in the Red Sea appears to have stopped, leaving behind a newborn island. 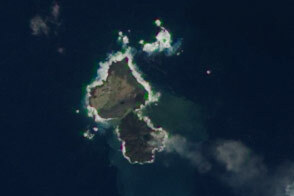 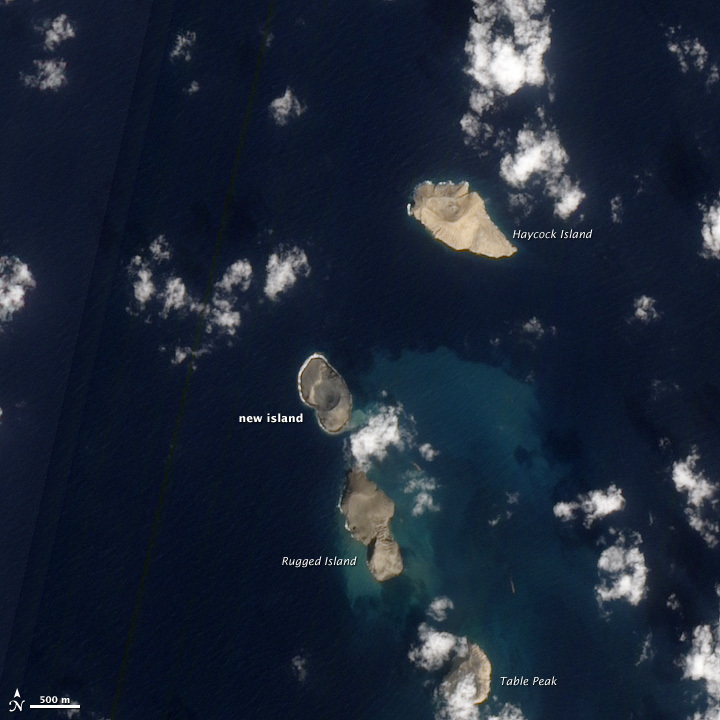 The new island is part of the Zubair Islands, located about 60 kilometers (40 miles) off the coast of Yemen. 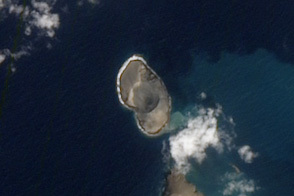 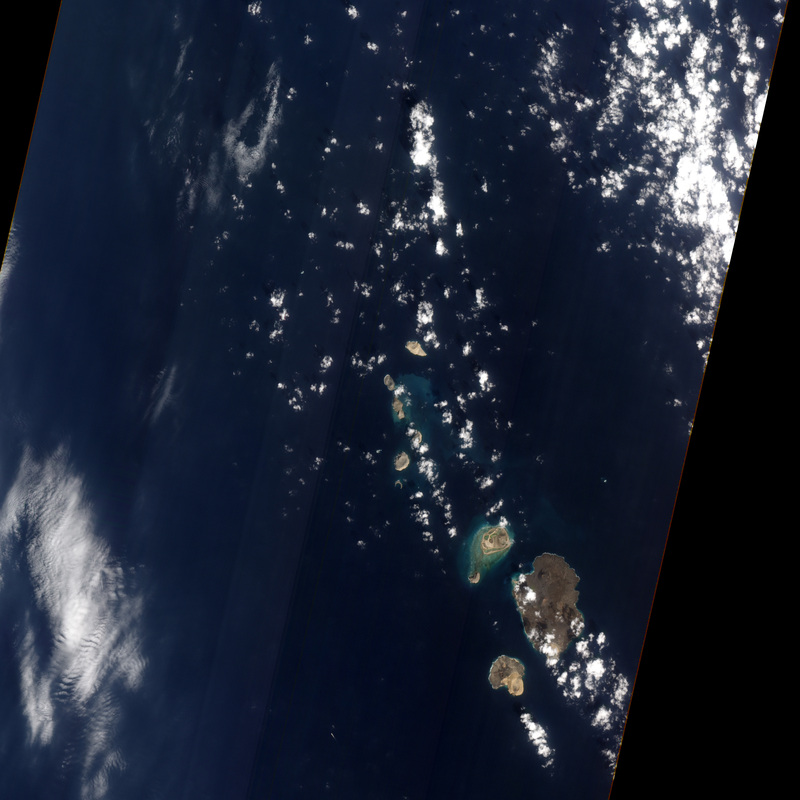 The Advanced Land Imager (ALI) aboard the Earth Observing-1 (EO-1) satellite acquired this natural-color image on January 15, 2011. 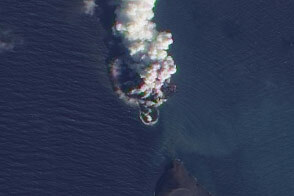 NASA image by Robert Simmon, using ALI data from the EO-1 Team. 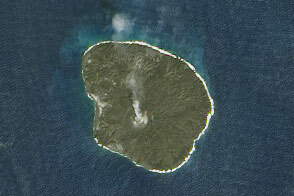 Caption by Robert Simmon. 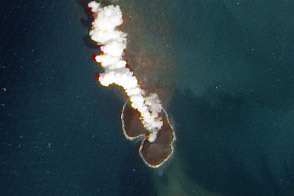 A volcanic eruption in the Red Sea appears to have stopped, leaving behind a newborn island.